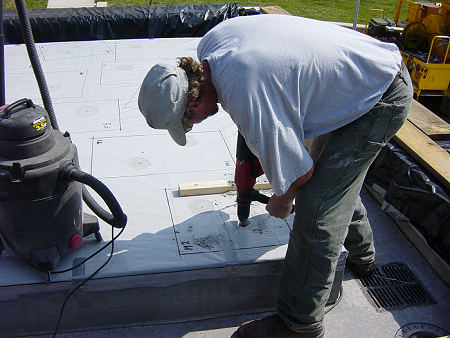 A concrete base with lighting for the sculptures is prepared in Clinton Tennessee and detailed measurements are sent to us. 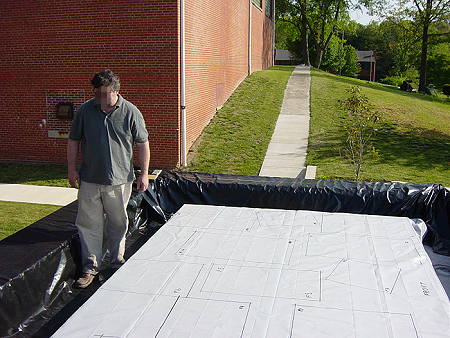 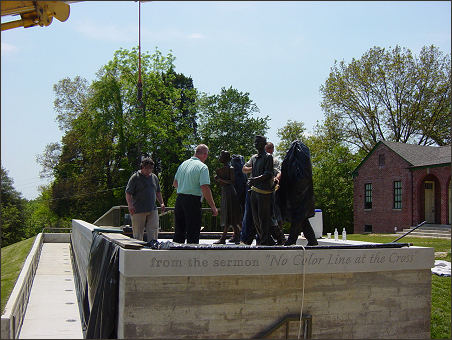 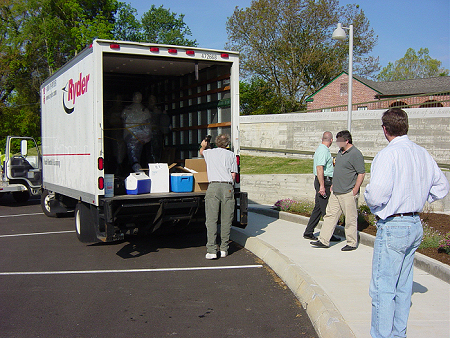 Clinton City Manager Steve Jones inspects the base prior to delivery of the completed sculptures. 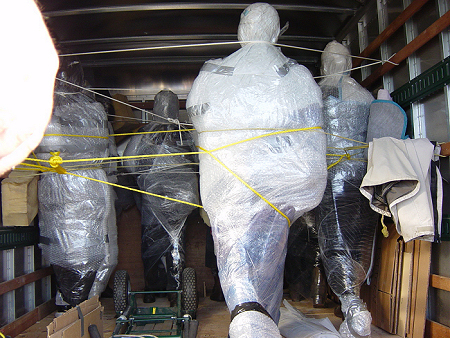 The completed sculptures are carefully wrapped in blankets and bubble-wrap and loaded onto a truck for delivery to Clinton Tennessee. 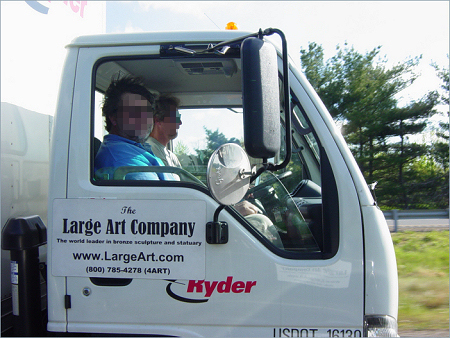 Driveing the sculptures to Clinton, Tennessee. 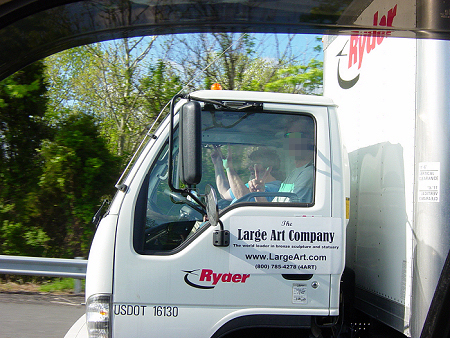 This photo was taken traveling at 65 miles per hour on Interstate 81 in the Smokey Mountains.